Books: cards to play with. If someone placed the cards in the pack in an unfair manner, then they'd be "planting the books". Cap Acquaintance: people who barely knew each other, only enough to salute with the hat or bow when they met. Family Man: a thief, or receiver of stolen goods. Gentleman Of Three Outs: someone without money, wit and manners. Master Of The Wardrobe: someone who pawns his clothes to buy liquor. Mushroom: a person or family of humble origin who has suddenly become wealthy and influential. On Saint Geoffrey’s Day: never (there was no St Geoffrey's Day). Squash: a party you don't want to attend but must anyway. Toad eater: an impoverished gentleman or female relation that was hired as a paid companion. 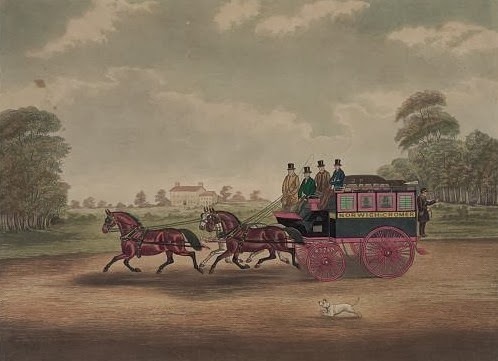 Unicorn: a coach drawn by three horses. Watery-headed: prone to cry often. Wife In Water Colours: a mistress, or a concubine; such an engagement, like water colours, could be easily dissolved.